Wow, thank you for that. Great explanation. Not bad. There are a few errors here. I’m big on debates. And although I am a Facebook user I will gladly offer the other side to your biased reporting. Facebook wasn’t there first. Sixdegrees was, followed by Friendster, followed by Myspace. The evolution of social media is based purely on trends and niche offerings. What’s new and hot and what drives users. Facebook never had users in the beginning. In fact after year one just 1 million people used it. Google+ is still in limited beta. Invite only. And in its 2 months in existence has 25 million users. Google+ had and still has a shot. Twitter, Facebook, Myspace, LinkedIn etc etc were all slow to attract traffic and all of them lacked compelling user interface in the start. These kinds of things are a work in progress. Trial, error, discovery and evolution. It’s hard to judge anything based on limited beta. That’s like people who download OS5 for iPhone in beta then send written complaints and give poor reviews to app makers for bugs (yes, people actually did this). It isn’t fair judgment on an OS that’s still in development. You speak of the ton of white. Have you taken a minute to reflect on what’s missing? ADS. As much as I love seeing deals on oil changes and people who have paid to fish for followers, I’ll take clean and white. I am exposed to enough ads in my day to day, I don’t need it when I’m trying to view a picture from the weekend. Google+ plus came out of the gates with more than Circles. It also brought Sparks and Hangouts to users. All 3 of which were fantastic ideas. Obviously Facebook developers reciprocate that opinion and felt the footsteps behind them because it took less than two weeks to copy these offerings. It sounds like you may not of tried hangouts. I recommend you get a couple friends together and do it. I just ran a fantasy pool with it and it was more glorious that real life, bringing friends from all over the continent who would otherwise be left out. It’s smooth and intuitive. The added feature of tossing in youtube video that everyone can watch, text and voice chat about resulted in some ooo’s and aaah’s that Facebook has never earned. This blog implies that Facebook was fantastic from the start, everyone loves it and always has, that it’s always been vibrant and exciting and that every friend every person has all created an account simultaneously. As a financial planner I don’t suffer from what’s called recency bias. Recency bias is believing that what has most recently happened always was and always will be. Don’t worry though, it’s human nature. I just ask that you look back at the time you first held out from facebook, how long it took to adopt then how long it took to become an active user. For me and many people I know it was long. For 2 years I made fun of Facebook users. It was a waste of time. The site was ugly and people used it for a limited number of functions. When I finally started a page I played with it for a week then put it down for a year. Fast forward to today. Google+ is the new Facebook in that other more hip predecessors exist. Google’s main issue right now is lack of users but they may just come over time. Social media is not unlike a bar. There are bars that are busy for one reason – they’re busy. I’m sure you can think of an average place right now that you have no idea why people go – but the reason is simple, people go because there will be people and that’s why people came in the first place. In physics, critical mass. Google+ is silently creating an ecosystem. They have tied the number one web browser in the world right into Sparks. They have quietly been adding a ‘+1’ beside search results and to pages on the internet that will soon be complete for the entirety of the net. They slid a link to the black tool bar at the top of Google for easy access as well as real time info on your messages. Everywhere you look on the web it will be hard to remain unexposed to Google+. A feat Facebook can only achieve by asking you every 4 seconds to install their frustrating Toolbar. Whether you hate it or like it, it’s a fast moving world and things change. Google is a powerhouse. Don’t underestimate them or the power of the flock. I’m not saying Facebook was the first – it was just the first to be relevant. The first to nail the user experience and make social accessible and understandable. Limited beta or not, many people are trying Google+ and not returning. It isn’t _just_ because all of their friends aren’t there (though arguably that’s reason enough), it’s because the value-add of all these killer features are marginal to the majority of the user population. Sure Google+ still has a shot at relevance. My opinion is simply that it won’t be a replacement for Facebook or get anywhere close to how ubiquitous Facebook is – across ages, regions, etc. There are other social networks in other regions that have had a lot of success by effectively being first in these still early days, but I’m looking at longevity and thinking that Facebook has a whole lot of momentum that others, including Google+, don’t have. It’s not ads I’m missing in Google+ – it’s form and purpose. Ask yourself this: if you send an invitation to your parents to use Google+ would they be able to figure it out and use it as easily as they would with Facebook? There is a magic to a good user experience and to good product design. Facebook is a well-designed interface because my parents can figure out how to use it. So can my grandparents. I simply didn’t have that same experience with Google+ and I believe it’s one reason its success will be limited. For all of the resources Google must have put towards this, I expected more, even for a “limited beta” (which, the more I hear that term, the more I think it feels like an excuse for some of the failures Google+ is being criticized for). I understand your comments on recency bias but I don’t believe your experience was typical and I also don’t think it’s relevant anyways – the bar back then was indeed lower but things have changed and it doesn’t matter how long it took for Facebook to get the same amount of users or what the UI looked like back then. Google+ isn’t launching in 2004 and competing against the old version of Facebook – they should have been able to learn from what Facebook and its users went through and launch a superior product. In my opinion, they didn’t. I do agree that there’s potential for the ecosystem Google is creating, but ask yourself how many of your non-techie friends are using the +1 button on websites and sending you invites to Google+? Or even talking about it? Maybe it’s just my experience and it’s different from what everyone else is seeing, but I don’t hear about it. I don’t see it. Most people i know simply don’t care. You’re right that I haven’t leveraged all of the cool features Google+ has, but are they features that Facebook can’t and won’t simply copy? Is there something unique in how and what they are doing with these features that it’s expensive or technically difficult for Facebook to implement them? Are they consequential to non-power users, so much that they would invite all of their friends to Google+ so they can use them? Like the successful hypothetical bar, Facebook is busy because it’s busy – and so far as i can tell Google+ isn’t all that busy or top of mind for people. Users are getting what they want out of Facebook (for now; granted that can change) and have no compelling reason to move or add another social network that effectively echoes what they get out of Facebook. Again, the value of moving over for your average users, which make up the majority of your traffic and revenue, is marginal in my opinion. In any event, time will obviously tell. And I definitely agree that the world is indeed fast-moving, but then why aren’t more people avid and returning users of Google+ by now? Well said Mr. Cressman. I have to agree with all of your points. This most relevant being that the entire world would need a reason to abandon the largest, most user friendly, complete experience bringing social media site to ever exist. And that’s just it, people would have to switch. I argue that (most) people will not have and maintain both. Reason being people simply don’t have time for yet another social media time leech. I personally feel Google should have put their time and money into discovering or creating a new social niche. Re-making Facebook, but arguably worse, is a tough sell and quite possibly a huge mistake. My examples are Twitter and LinkedIn. They were able to explode in popularity because they have a unique social offering. Twitter is mass exposure to interests, news and celebrities in real time. LinkedIn brings business networking to the table. And, of course, Facebook offers profiles, status’s and picture sharing to friends, families and circles. Google showed arrogance and in my opinion ignorance to attempt reinvention of the wheel followed by the sheer audacity to suggest it’s better and worth migrating to. That said, David did take down goliath. RIM ate Motorola’s lunch just to be devoured by Apple only be slowly eroded by Android OS (in a short 7 years). It still comes down to continued relevance, evolved offerings and maintaining user usage. In a fast moving world it’s easy to become uncool overnight. Just ask Nokia, Motorola, disco, real estate, MySpace, No Fear, General Motors, green energy, Nortel, police based tv series, war, The United States of America, Dell, Gold from 1880-1980 then 1990-2000, Blockbuster Video, 8-tracks, the incandescent bulb, wired devices, mail, conventional oil, Yahoo and AOL. 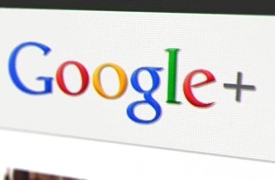 There will be some Google SEO benefits to G+ over time… no?